I love to bake and I have been looking for something like this. I have an old set at home but it was not stainless steel. It is starting to wear and I decided that the stainless steel would really hold up. It meets my needs. 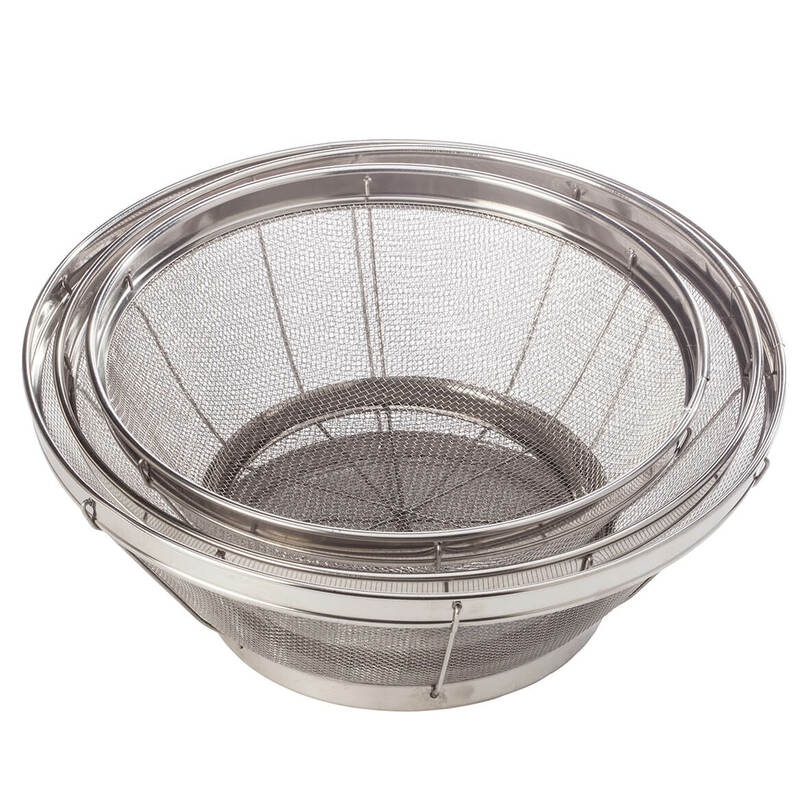 It has varied sizes, well constructed and is made of stainless steel. It doesn't get any better than that. 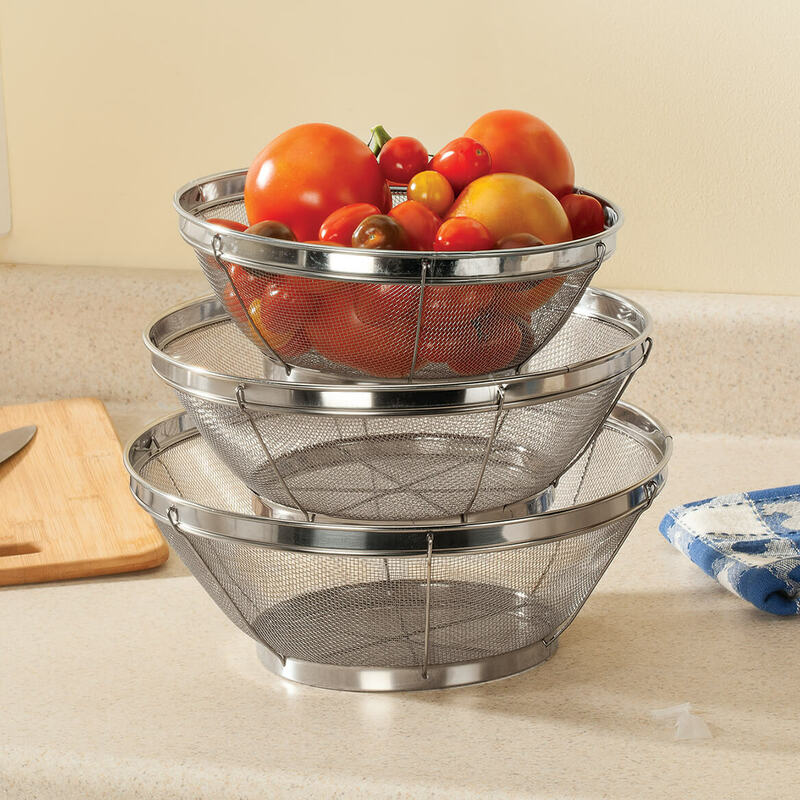 I already have one of this colander set and use them all the time so I purchased one for a friend. 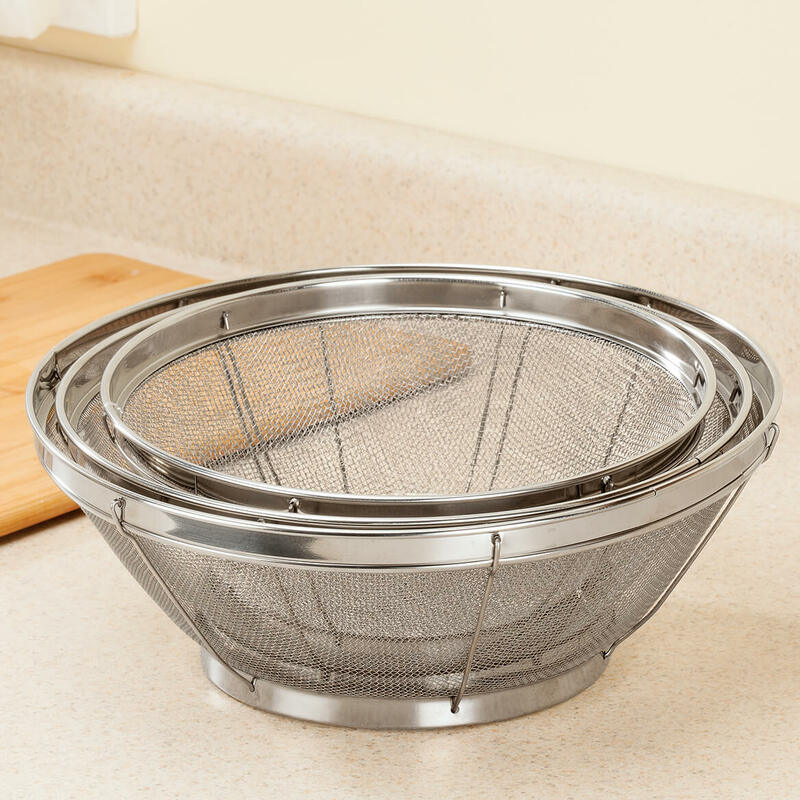 I like a small light weight colander --this et gives me small light weight options! BEST ANSWER: Thank you for your question. It is recommended to be hand washed. We hope this information will be of help to you.